The Germans over at Audi managed quite an important milestone in sales today, they sold no less than one million units in China. The celebration took place quietly and as usual an announcement came probably from the party drinks. It took the Ingolstadt based manufacturer no less than 22 years to reach this figure and celebration is acceptable until you find that they plan to sell another million in just 3 years. According to a Mr. Rupert Stadler who’s the Chairman of the Board of Management over at Audi AG it seems that the four ringed Germans were the first premium brand to enter China back in the same year I was born and they have been top of the charts ever since. The 1 millionth vehicle is a crowning achievement of that and according to Dr. Dietmar Voggenreiter, President of Audi’s Chinese division it confirms that their sales targets set up until 2014 are firm and will be achieved. 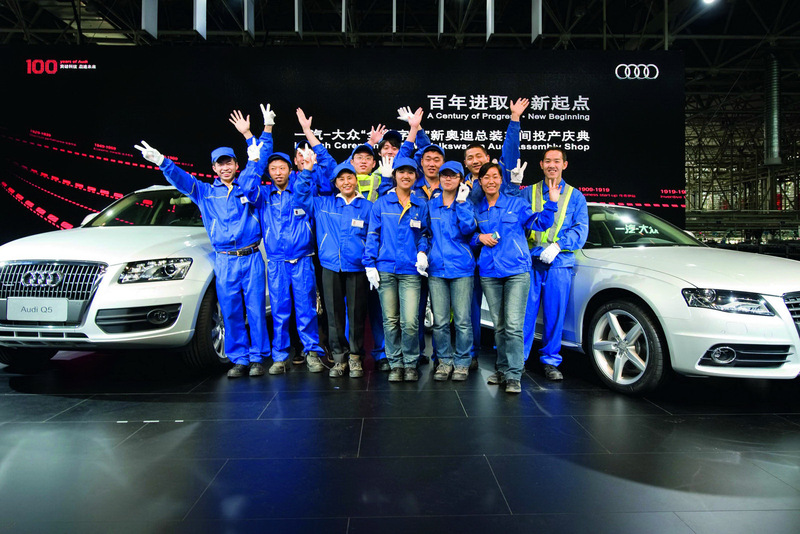 The actual 1 millionth vehicle was a Q5 crossover, painted in metallic blue which saw delivery over to a customer from Changchun. What more is there to say, congratulations Audi and keep up the good job.